Good excavation work requires a lot of certifications and training. You don’t want just anyone to be digging up the utility and sewer lines on the property. The smallest mistake can cause delays and delays mean you’re losing money. While you can train, or pay for the training, for an internal employee or two, there’s a large opportunity cost that comes with it. Your company is also held responsible for any damages. Instead, hire a trained service that handles the excavation and the liability. Employees are expensive, especially if they’re specialized. Many businesses are turning to third-parties and contractors for specific tasks. Part of that is because specialized experts are a better resource. But it’s also because employees are expensive: they bring tax implications, health insurance requirements, and salary costs. If you have a small construction company, hiring out often makes more business sense. Don’t get tools you can’t use 24/7. Hydrovacuum excavation uses a lot of tools that you can’t use for other tasks. While it makes sense for a company that focuses on excavation only to invest in the equipment, it’s not the same for construction companies and utility repair specialists. 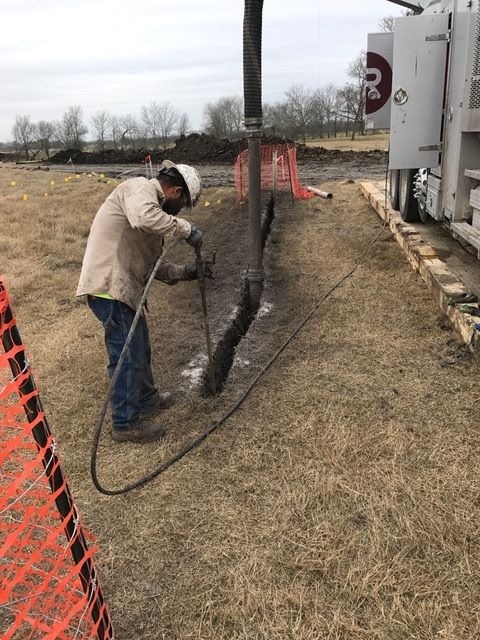 At 4 Warrior Hydro Excavating, we have the tools and experience to get the job done so you can focus on your whole site. Contact us here to get started. 1. Clay dirt is where you need good excavation the most. The type of soil you’re building on decides a lot of the infrastructure, and this is even truer when it comes to the plumbing. 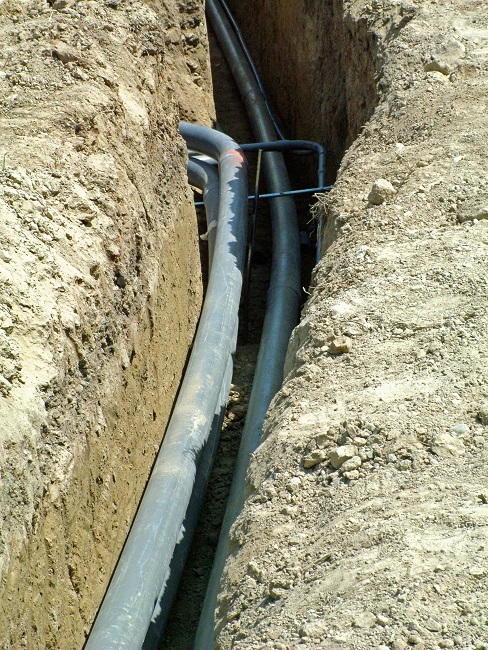 If you’re breaking ground in an undeveloped area or unincorporated land that’s under loose county control, there’s probably established sewage connections nearby. But septic systems don’t work when there’s clay soil and not enough drainage. Most areas actively prohibit construction if there’s a failed percolation test, so the only way to develop the land is to extend the closest lines. Vacuum excavation can help you find them and efficiently start laying down new ones. 2. Mechanical excavation is bad news in the winter. Frozen dirt is hard to work with. Even if a mechanical excavation tool can break into the ground, it’s going to do a lot of damage with every swing. Use hydro vacuum or vacuum excavation instead. It can lose loosen icy soil and keep the existing utilities much safer. Damaging those lines is going to be even costlier in the winter because repairs will take more time. 3. You can worry less about cleanup. Excavation always seems to leave behind too much dirt. It expands once it’s dug out of the ground, especially if it’s dug out or turned into a slurry. Vacuum excavation keeps the excess to a minimum. Because it’s also more precise, there’s less dirt to worry about. Even if your construction site is packed, you can keep things moving along with less lost space. Go to 4 Warriors Hydro Excavating here to schedule an appointment or get a quote.